Starz premiered Counterpart in December 2017, and it may just be the best new show of the fall season. For 50% that’s because of the unique storyline, but the other 50% is totally because of J.K. Simmons acting. 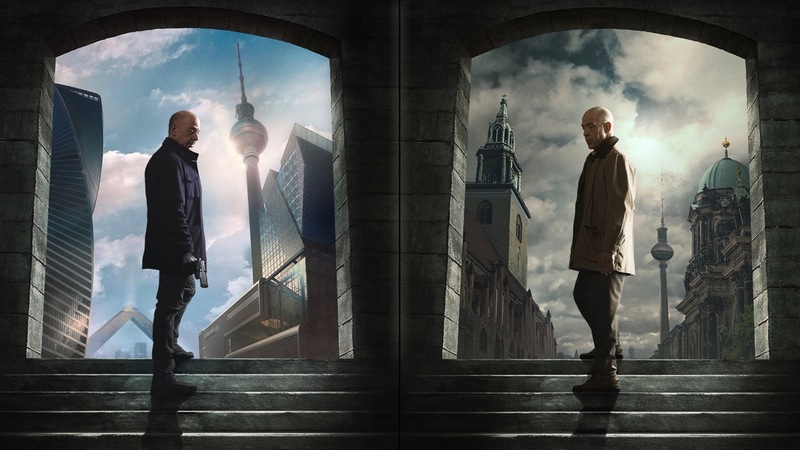 Set in present day Berlin (but in a different world), there is a portal that leads to a parallel dimension. The world was “cloned” in 1987, and from there both earths developed in different ways. Governments in both dimensions share information about geological and medical discoveries, among other things, while the general public on both sides has no idea the parellel dimension exists. Anyone born before 1987 has an “other”: a clone of themselves on the other earth. Howard Silk, J.K. Simmons’ character, is a bureaucrat in his world, while his other is a field agent. When one world’s problems spill over to the other side, and the Silks meet, things get interesting. Simmons is best known as a character actor, but in Counterpart he plays not one, but two lead roles. It’s amazing to see how he plays two versions of the same person, that are very much alike but also have their unique manners and ways of carrying themselves. Even if you’re not into the story, the acting alone is worth watching it. Review based on five episodes watched.